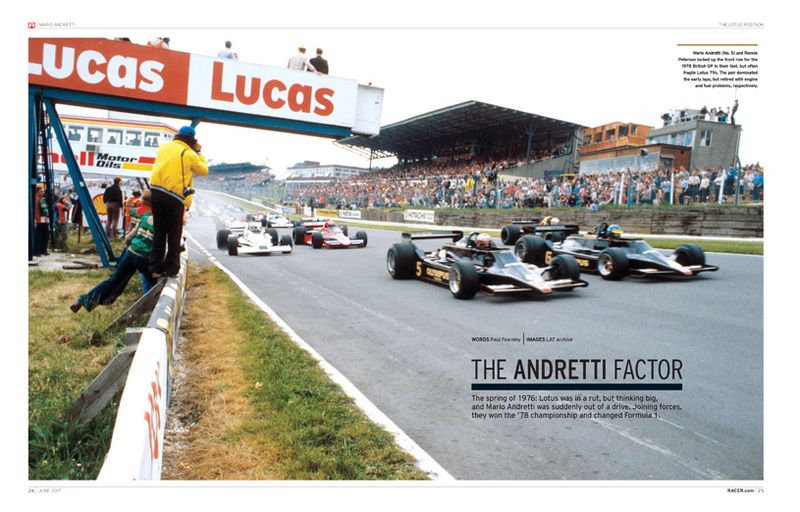 The 25th Anniversary of RACER magazine happens to coincide with our annual Heroes Issue. So who to celebrate on our cover for such a milestone? 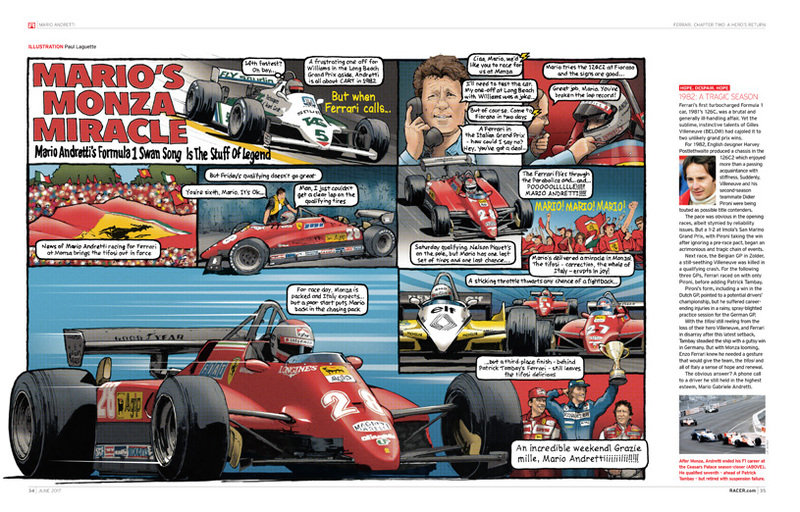 The discussion was a short and conclusive one: Mario Andretti. Revered within racing, Andretti transcended our sport and crossed over into the “real” world in a way that few others have. People who’ve never watched a lap of racing in their lives have heard of Mario Andretti. Even the name’s fast. the Indy 500’s Borg-Warner Trophy, victory in the Daytona 500, winning the Formula 1 World Championship – are mere chapters in Andretti’s long and illustrious story. Milestones like this lend themselves naturally to celebrations of the past, and we’ve covered a wide spectrum of racing greats in these pages. But we’re focusing on some of the less visited aspects of their storied careers: Mark Donohue’s somewhat underappreciated 1972 Indy 500 win. World Rally Championship legend Colin McRae’s dalliance with Ford. The formative seasons of the Michael Schumacher/Ferrari dynasty in F1. Yet we’re also about looking forward, and it’s worth remembering that we’re witnessing similar feats playing out in real time. Tomorrow’s heroes – the polarizing genius that is Lewis Hamilton in F1; Jimmie Johnson rewriting NASCAR history; Scott Dixon’s quiet, but relentless ascent of IndyCar’s all-time win list – are here for us to appreciate right now. Might any of these guys be the cover star for RACER magazine’s 50th Anniversary issue in 2042? We’ll circle back in 25 years and find out.